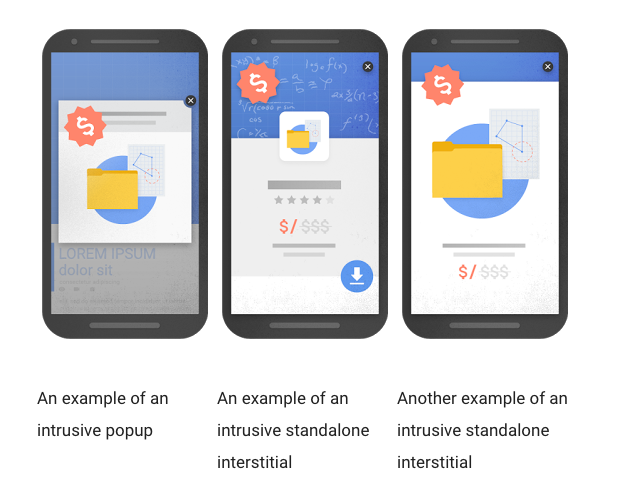 Google’s Mobile Interstitials Penalty Starts Today! Are You Ready? Are your mobile ads intrusive? If so, it’s time to change that. 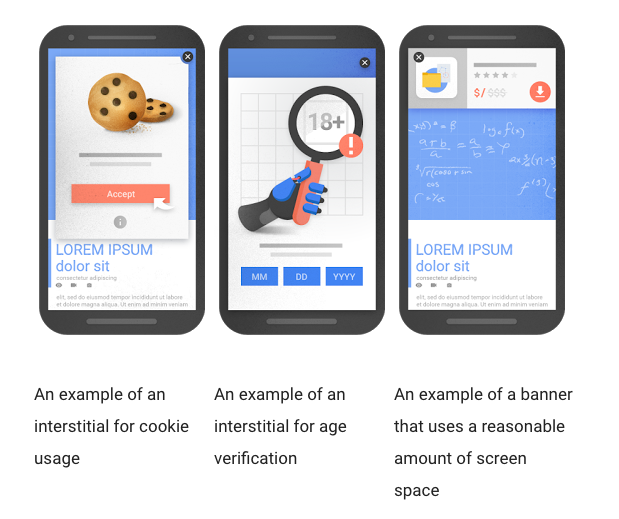 Google’s new mobile Interstitials Penalty takes effect today and will impact how advertisers position their mobile ads. “Starting today, pages where content is not easily accessible to a user on the transition from the mobile search results may not rank as high,” announced Google in their blog. So what do you need to add to your to-do list today? Basically, you want to avoid ads that pop-up and take up the entire screen, leaving the original screen inaccessible or unseen to the user. Your pop up can’t cover up the page’s main content. This can’t happen when your visitor goes to one of your pages from the search results, or while they are looking through your page. Your ad can’t be a standalone interstitial that visitors have to click away to be able to access the main content. You also can’t use a layout where the above-the-fold portion of the page looks a lot like a standalone interstitial, but the original content has been inlined underneath the fold. Login dialogs for unindexable content that is behind a paywall. Here’s how Google illustrated it. As with any Google announcement, this is good news for businesses that are conscientious enough to stay on top of current trends. This also favors businesses that design their site with the user in mind, instead of constantly bombarding their visitors with ads. “It will be interesting to see how many websites get hit by this penalty. 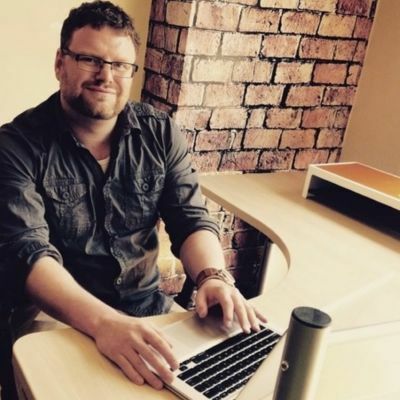 As a business owner, the biggest lesson, and the best thing you can start doing now, is to approach everything you do with your website with a ‘think like Google’ mindset” said Colan Nielsen, Agency Operations Manager at Powered By Search. Want to Know How to Use This to Your Advanage? Does this mean you need to completely re-think your mobile site? Do you want to make sure everything you’re doing is in line with what Google wants? We are one of the most respected agencies in Canada, and recently made PROFIT Magazine’s list of Canada’s Fastest-Growing Companies.